Participants gather at the Neal-Marshall Black Culture Center during last year's Black History Month kickoff event. Throughout February, Indiana University's campuses will mark Black History Month with events, speakers and programming that recognize African-American achievements and celebrate black history, culture, art and leadership. "I am so excited about Indiana University's celebration of Black History Month, particularly because our celebrations will cover so many different facets of the black experience," said James Wimbush, vice president for diversity, equity and multicultural affairs, dean of the University Graduate School and Johnson Chair for Diversity and Leadership. "From celebrations of black art and culture on the Bloomington campus to events about leadership, history, relationships and higher education taking place across the university, we will have plenty of occasions to celebrate Black History Month with all the complexity it deserves." Throughout February, the IU Bloomington campus will emphasize the enduring power of black music and art. With an official theme of "Lift Every Voice: A Celebration of Black Music and Art," the monthlong celebration will recognize the impact of the black voice as it pertains to the transformative power of black music, literature, spoken word, visual and graphic arts, theater and dance. Many of the celebrations happening on the Bloomington campus will be hosted by the Neal-Marshall Black Culture Center. Founded in 1969 and dedicated to supporting the development and success of black students, the Neal-Marshall Black Culture Center is the oldest of IU Bloomington's culture centers, which are supported by the Office of the Vice President for Diversity, Equity and Multicultural Affairs. The center's Black History Month events this year will celebrate the origins, innovation and significance of the black creative aesthetic. "From the dawn of time, black artists have contributed greatly to the lexicon of global artistry: film directors, playwrights, thespians, musicians, singers, songwriters, novelists, poets, visual artist, photographers and dancers," said Monica Johnson, director of the Neal-Marshall Black Culture Center. "These powerful people and their works have added greatly to the diverse fabric of this country and the beauty of our world. This year, we have chosen to celebrate the power of the black creative and the long-standing legacy of black excellence throughout music and the arts." The Neal-Marshall Black Culture Center Presents: A Night at the Juke Joint -- Taking place at 6 p.m. Feb. 1 at the Neal-Marshall Center Grand Hall, A Night at the Juke Joint will serve as the opening ceremony for the center's Black History Month celebration. The program will include various forms of artistic expression (music, dance, poetry, visual arts) and will feature local black artists. Attendees will also enjoy a delicious selection of soul food. 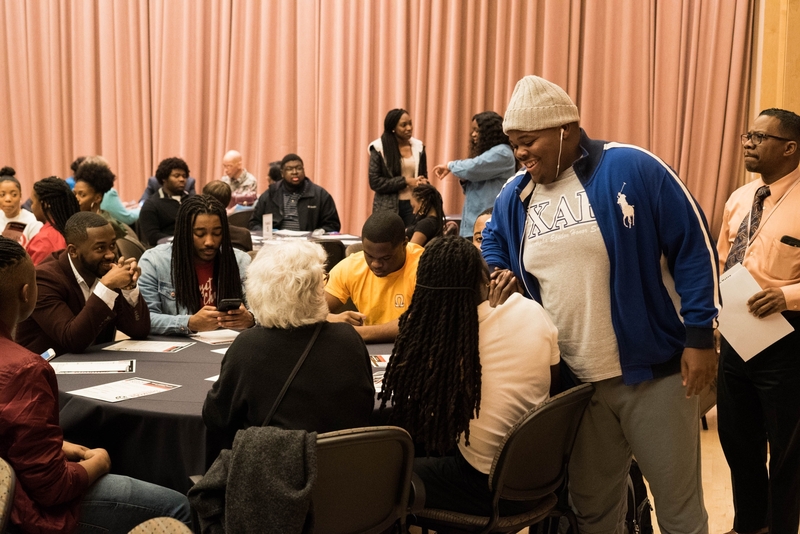 The Black Knowledge Bowl: Please Don't Stop the Music -- A long-standing Neal-Marshall Black Culture Center tradition, this year's Black Knowledge Bowl will focus on an interactive exploration of black music and pop culture. This event is planned in conjunction with the Black Student Union and the African Student Association and takes place at 6:30 p.m. Feb. 21 at the Neal-Marshall Black Culture Center's Bridgwaters' Lounge. Young, Gifted and Black Presents: Love Being Woke: A Conversation About Black Love -- Join IUPUI students and Young, Gifted and Black for a lunchtime discussion of black love and relationships. Refreshments will be provided. The event takes place at 11 a.m. Feb. 5 at Taylor Hall 101. Black History Mobile Museum -- Drop by KC 130 AC at IU Kokomo from 8 a.m. to 5 p.m. Feb. 12 to experience a mobile museum dedicated to chronicling and celebrating black history. Celebration of Black Studies Program 50th Anniversary -- Join the IU Northwest community in celebrating the 50th anniversary of the campus's Black Studies Program, featuring a keynote lecture by Professor Emeritus Abdul Alkalimat, one of the program's founders. The event takes place at 6 p.m. Feb. 4 at the Bruce W. Bergland Auditorium. Titan Diversity Breakfast -- Hosted by IU South Bend and the IU South Bend Black and Latino Student Unions, the Titan Diversity Breakfast will gather the community in a morning celebration of diversity. The breakfast will take place at 9 a.m. Feb. 9 at Administration Building, University Grill. RSVP is required. Justin Jones-Fosu Presents: "WHY Matters NOW: How Purpose and Passion Inspire Meaningful Success" -- In an inspiring and entertaining keynote, Justin Jones-Fosu will equip attendees with the tools to become more successful leaders and engaged citizens in their communities. The events takes place at 10 a.m. Feb. 15 in the Hoosier Room of the IU Southeast Conference Center. For a full list of events taking place during Black History Month, visit the IU events calendar.